Look for Less: Cult Gaia Ark Bag Dupe on Etsy! The Cult Gaia Ark Bag has been the ultimate status symbol for fashion gals for the past two summers and for good reason. It’s super-chic, and it comes in at a relatively wallet-friendly price-point as far as IT bags go. After much hemming and hawing, I finally pulled the trigger earlier this season and bought one for myself. It was on back-order, and took almost two months to arrive, and I couldn’t have been happier when it did… at least I thought that was the case at the time. Well because my bargain-hunting knows no bounds, I was poking around online and found some pretty cool dupes on Etsy for even cheaper – as in $50 a pop! While I’m still completely in love with my pricier version, I’d be lying if I didn’t acknowledge that I kinda wish I had waited and gotten the cheaper one. 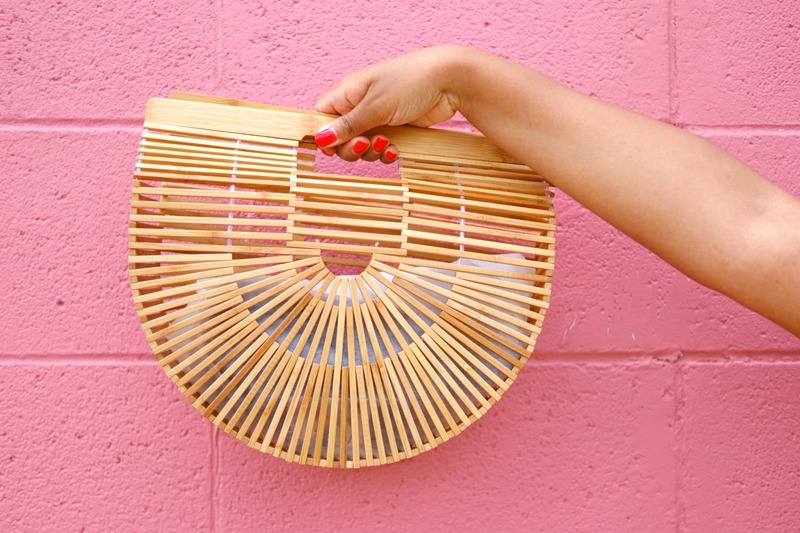 Normally, I wouldn’t advocate blatant designer ripoffs, but the Cult Gaia Ark bag gets a pass because the original design is actually based off a vintage Japanese picnic basket. So if you were previously on the fence about jumping on to this bandwagon due to pricing, you’re officially OUT of excuses, lol. The Shoes at H&M Are SO GOOD Right Now! The shoe game at H&M is KILLING IT right now, and that makes my heart (and pocketbook) so happy! I’ve already pulled the trigger on a few items that I can’t wait to share with you guys. But in the meantime, I had to share the love before some of these bad boys get sold out! Stick to real leather and suede if at all possible. These simple slides are made from real leather, and these adorable bow sandals and pearl flats are made from real suede. And the best part is that they’re all under $60. If real leather and suede aren’t an option, I personally find that faux patent leather and satin are your next best bets. I think these patent flats and gorgeous luxe satin mules prove my case perfectly. Since you’re not breaking the bank, you can go for extra fun details like bows, brocade textures, and faux-fur pom poms without worrying about the splurge on something frivolous that you may cringe at later. Which pair is your favorite? Lemme know in the comments, and happy shopping! 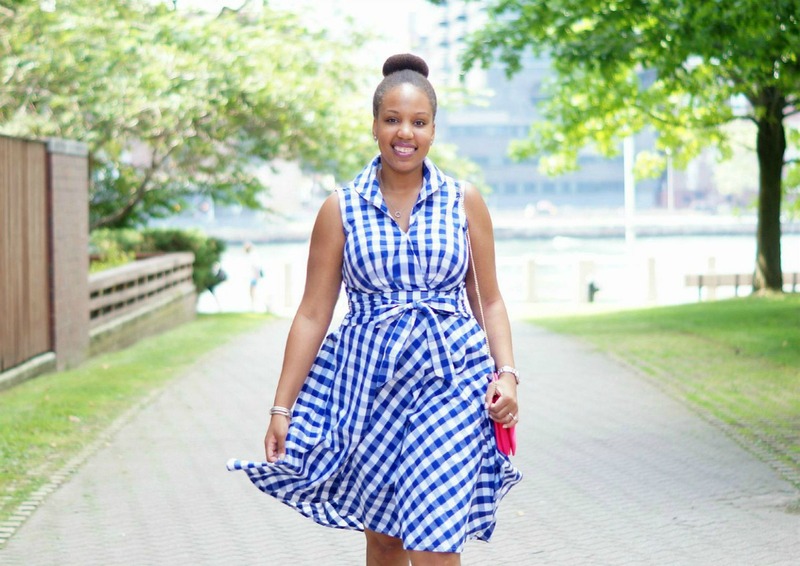 Gingham has always been a staple in my summer wardrobe, so I’m pretty stoked to see that it’s trending in a major way in all of my favorite stores this season. Today I’m rounding up a few pieces that I’m currently craving as well as a few old favorites that have served me well over the years. 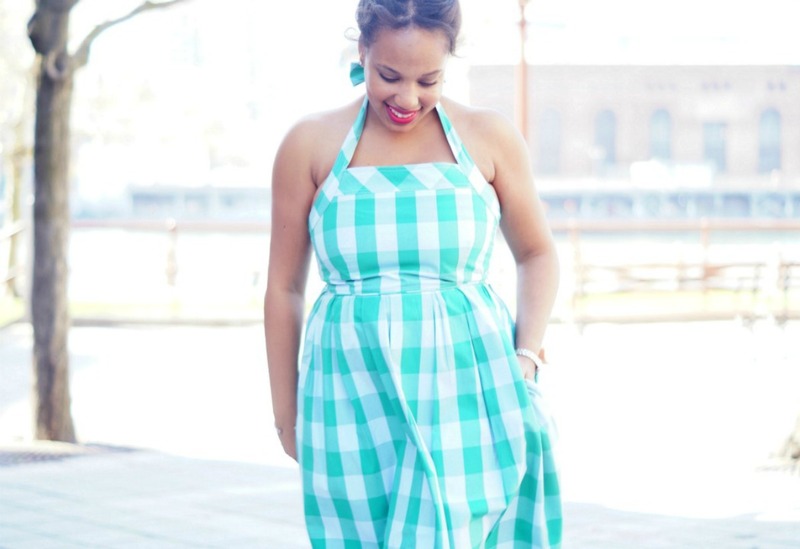 And what about you, are you ready to hop aboard the gingham train soon?